MIAMI -- The injury bug has derailed Bianca Andreescu's impressive run. 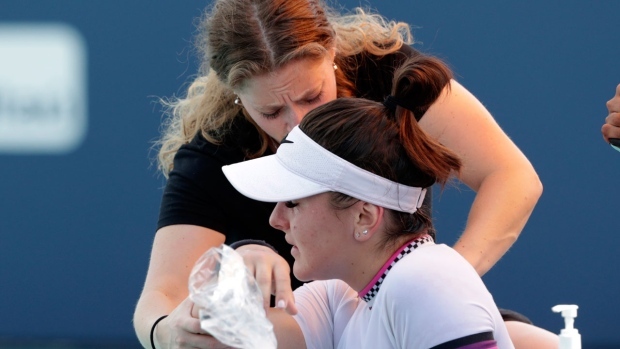 "I tried to get as much treatment as I can," Andreescu -- who described her shoulder as feeling tight -- told reporters afterward. "I thought it would be OK, but obviously it just got worse as the match progressed." On the men's side, No. 20 seed Denis Shapovalov of Richmond Hill, Ont., beat Russian qualifier Andrey Rublev 6-3, 7-6(5) later Monday in a third-round match.